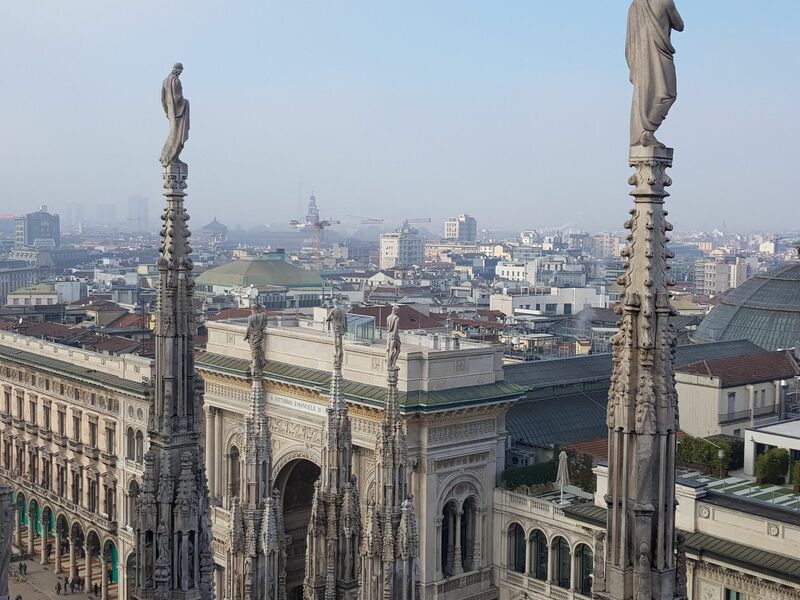 I am lucky enough to get to travel to some amazing places with my job and I kicked off 2018 with a week in Milan. The nights are dark in winter so I didn’t feel safe going rambling by myself in the evenings. 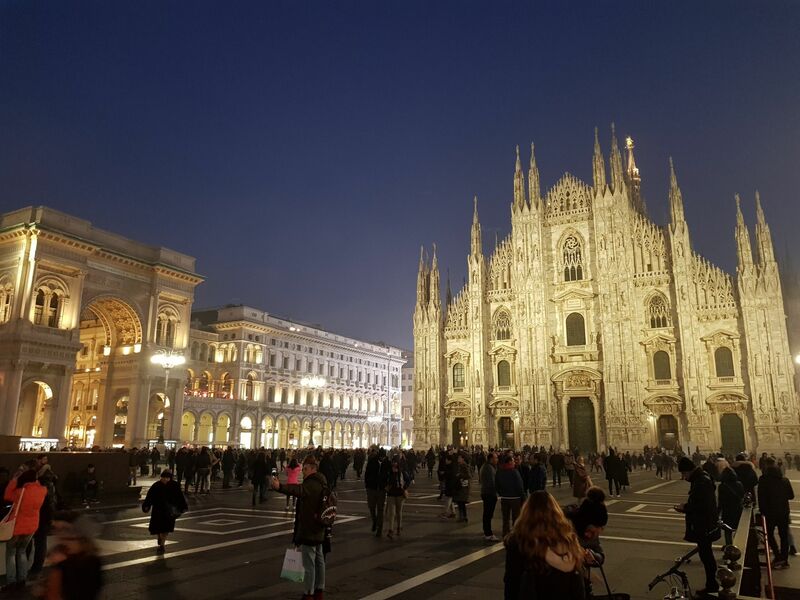 Therefore, I didn’t get to see much of Milan until Darren flew over on the Friday night and we went exploring the weekend. I’m delighted with how much information is in this blog post, from travelling, to accommodation, things to do and where to eat; I really hope you find it helpful. 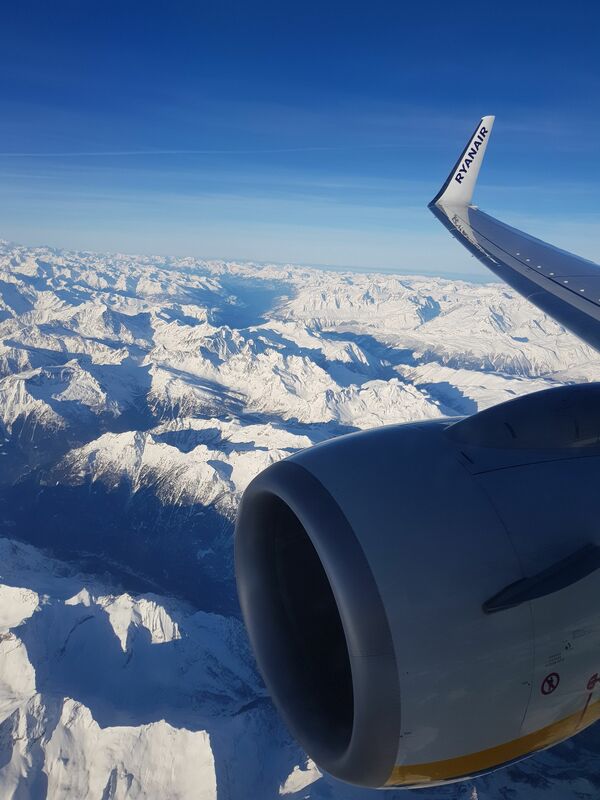 The cheapest option for us at the time was to fly direct from Dublin to Bergamo airport with Ryanair. The flight on the way over was really quick, which is about 3 episodes of Jane The Virgin long, or just over 2 hours for those who don’t watch the show) and the views were insane! 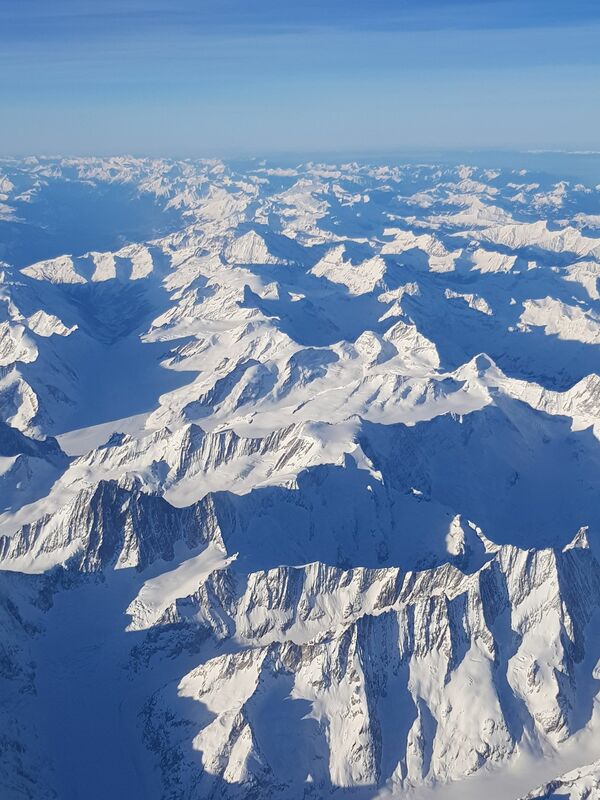 I was not expecting to see the Italian Alps up close and personal; they were mesmerising! The taxis are ridiculously expensive in Milan (€100 from Bergamo airport to the city centre) so I recommend getting the bus. You can buy your transfer tickets on the plane or get them on the bus for €5. When you walk outside Arrivals, the bus should be directly in front of you. Travel Tip: Do not get a taxi! 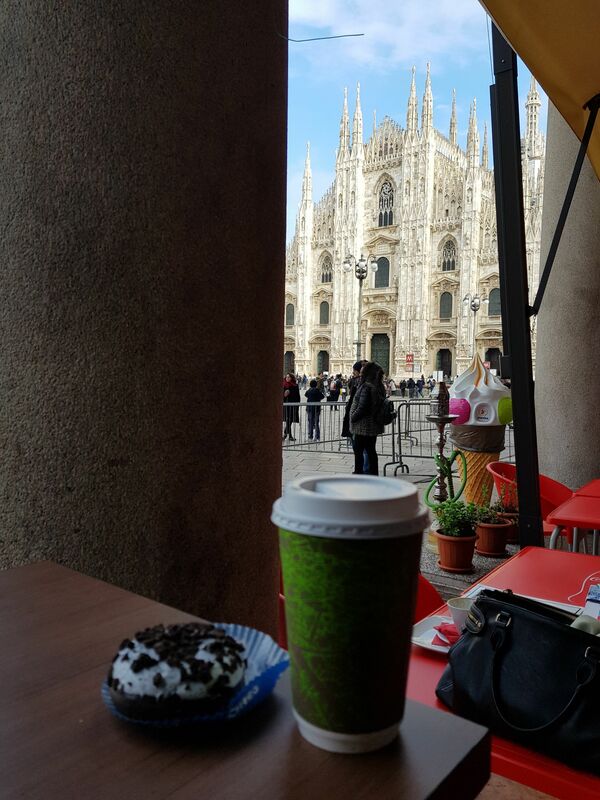 To be honest, it doesn’t matter where you stay in Milan, as long as you are close to a metro line. 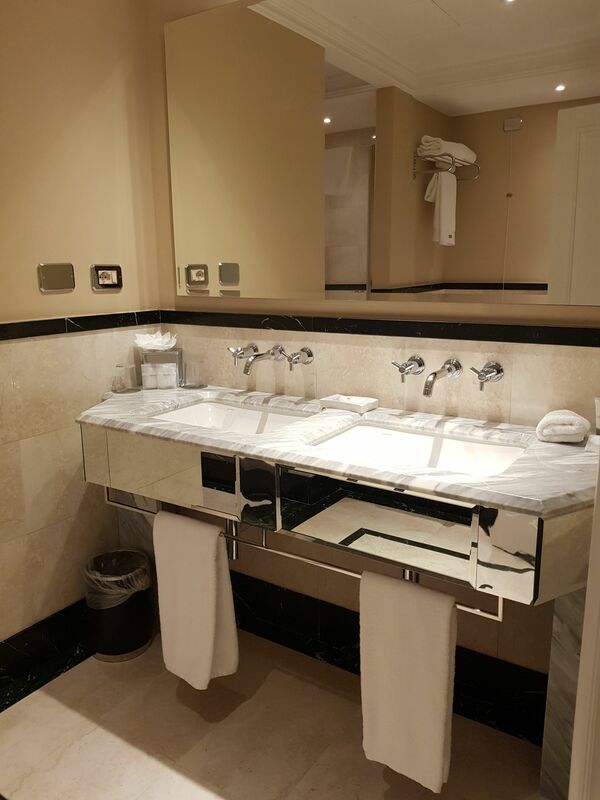 I stayed in 2 hotels in Milan. 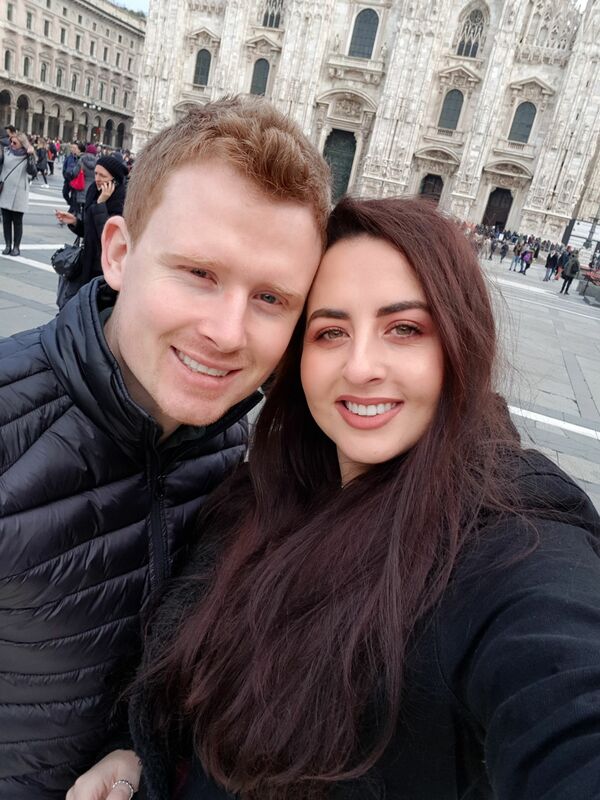 Both of them were in Piazza della Repubblica and because they were on the metro line, we got around the city really easily. We saved €300 on our accommodation for the weekend, thanks to Darren and lastminute.com. Darren booked The Westin on the Top Secret hotels section at lastminute.com. The whole concept is that you are not supposed to know what hotel you are booking until after you book, but it is pretty easy to figure it out! The Westin Palace was on booking.com for €580 for the 2 nights and we paid €280.The hotel room was fabulous! It was a suite more so than just a room. Although €8 for a mini box of Pringles from the mini bar! Travel Tip: Buy an ATM ticket from any metro station. We got a 48 hour ticket for €8.25 each and they’re valid on the metro, buses and trams. To be honest, I didn’t find that there was loads to do in Milan. Don’t get me wrong, there is plenty, but 2 or 3 days is enough to do it all! 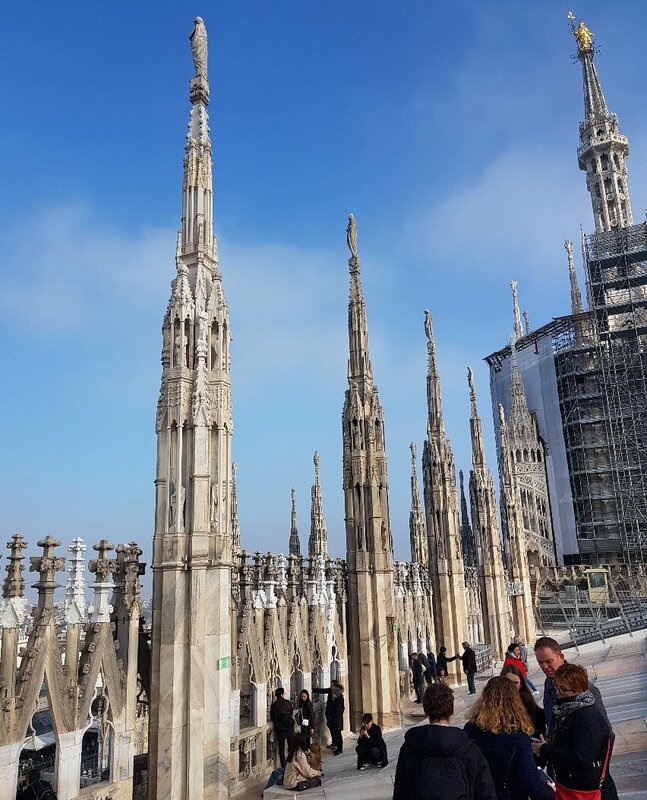 Get off at metro stop “Duomo” and visit the Cathedral and roof top terrace. This whole area is stunning and were you should spend most of your time. The Cathedral is HUGE and it’s home to a number of tombs and crypts! Of course, we went to see them, it was weird but cool! Once you’re finished in the Cathedral, you can climb up to the roof top terraces. You can take the stairs or get the lift. We walked because naturally we had been eating pizza and pasta since we got there! It is only about a 10 minute walk up and the views are so worth it! The queues look ridiculously long but they move really fast so don’t turn around. Speaking of queues, there is 3 separates queues to buy your ticket and enter the Cathedral. However, I have zero patience and so I went online and booked the “Skip the Line” tickets. This meant we only waited about 3 minutes to get our tickets and 5 minutes to go in (only because we were stuck behind a big tour group at security!). Travel Tip: Buy the “Skip the Line” tickets here for €14 each. You need to pay extra for the roof terrace but all in all, they work out about €2 extra per ticket. Definitely worth it; you’ll see when you see the queues. Well, Milan is one of the fashion capitals if the world so you would have to do a bit of shopping. 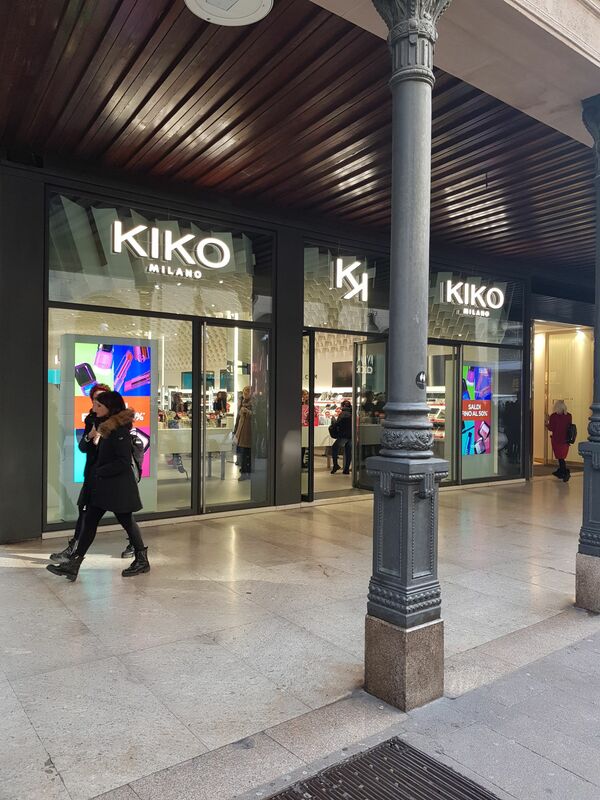 Sephora, KIKO are amongst the world’s most affordable and most luxurious brands there. Even if you don’t like shopping (but why? 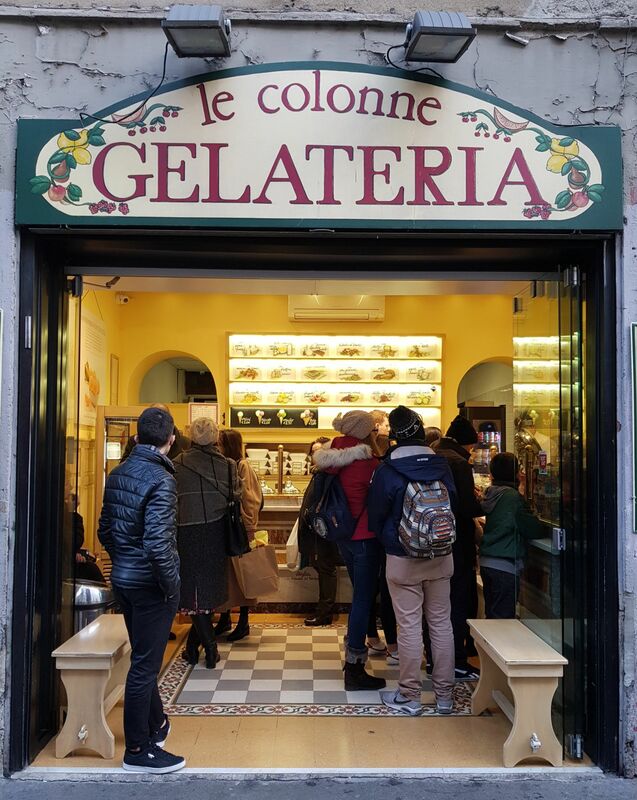 ), you should make it your business to visit Galleria Vittorio Emanuele II. It is spectacular, and home to the filthy rich and famous (because nobody else could afford to shop there!). 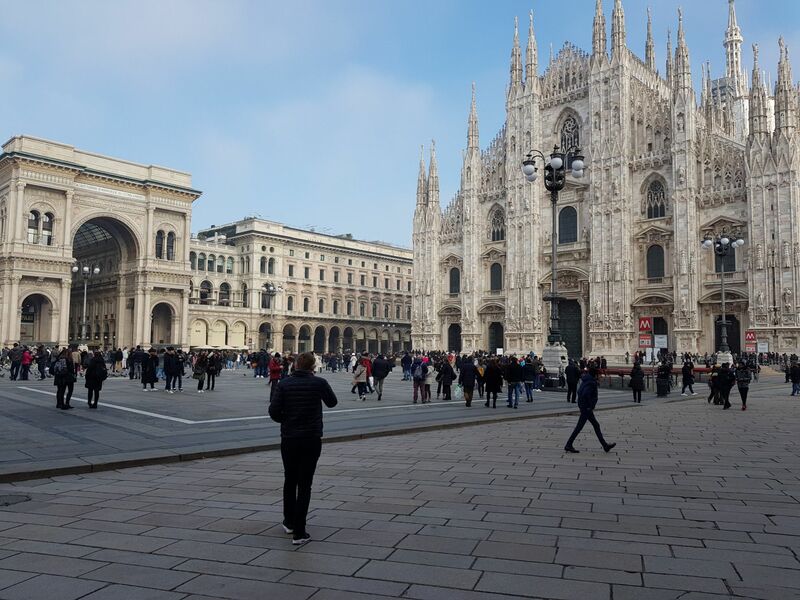 Travel Tip: If you are standing facing Milan Cathedral, the Galleria is on your left! 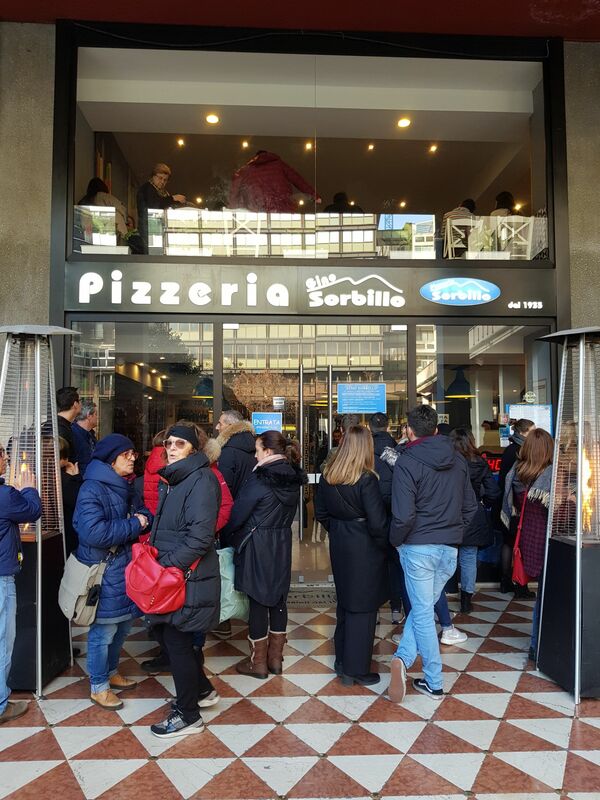 Also, while you’re there, grab some pizza in Spontini’s…. TRUST ME! More on this below. We didn’t get to see Leonardo Da Vinci’s painting of “The Last Supper” because it was sold out! I never thought of booking it in advance, but you have to, according to the official website. 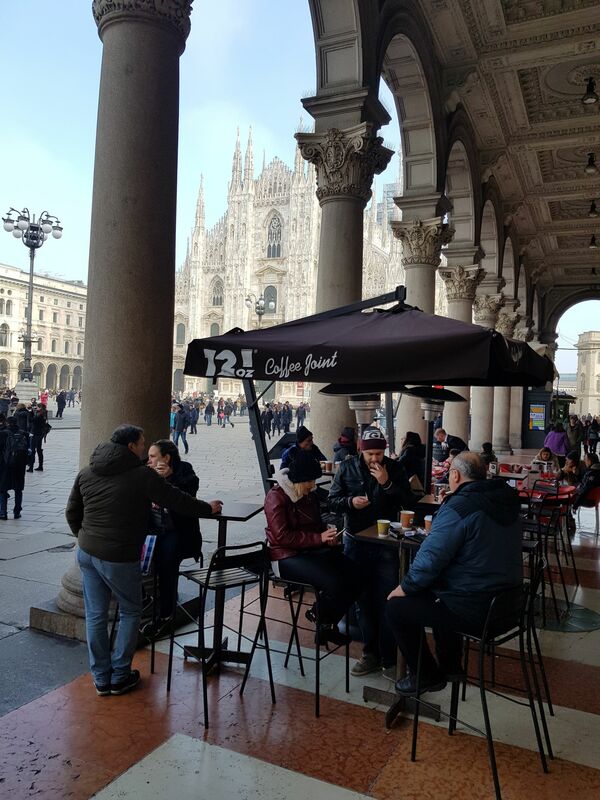 Aperitivo is a tradition in Milan. Basically if you go into anywhere that does it, you get food with your drinks. When I say food I mean olives, crackers, cheese and the likes; don’t be expecting a full buffet. Travel Tip: Visit the Aperol bar for Aperitvo. It’s right beside the Cathedral so the views are insane! 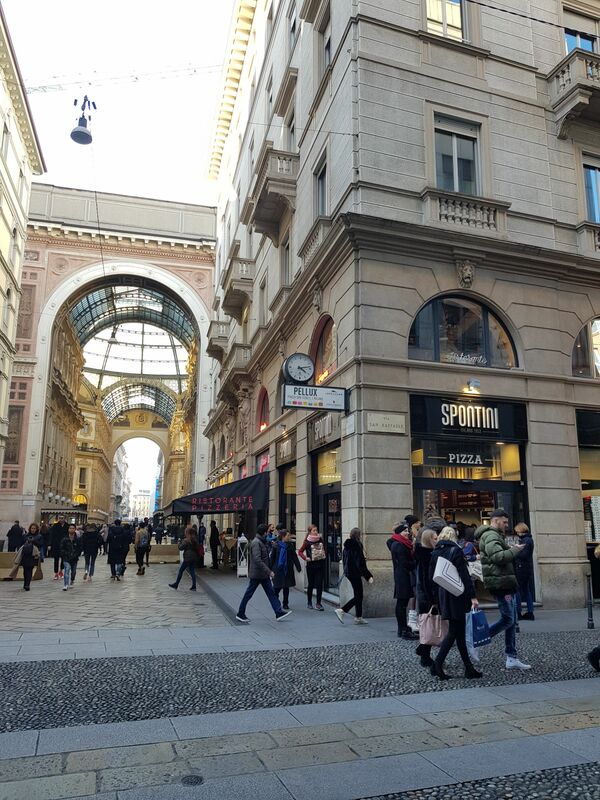 Spontini’s is based at the end of the Galleria, if you enter from the Cathedral side, and it gets my vote for the Best Pizza in Milan (that we tasted!). I’m not a big pizza fan, although you would not have believed that considering how much I indulged during the weekend; but I loved this pizza! The slices are huge (one is enough), it is so reasonably priced, and they make the giant pizzas from scratch in front of you, which was pretty cool. They serve beer too; always a winning combo. This place was recommended by a work colleague. She gave the Best Pizza in Milan award to this place and this was probably backed up by the queue outside! We waited 30 minutes to get a seat but it was worth it. Check out the size of the pizzas… they’re only around €7 too! This is situated out the back of Sephora in the city centre and you can read more here. My favourite thing in the world to eat is a crepe with Nutella so I have had a fair few throughout the years. The crepes from this place are delicious and, most importantly, they’re made using real Nutella. There is nothing worse than that chocolate syrup stuff that is advertised as Nutella. 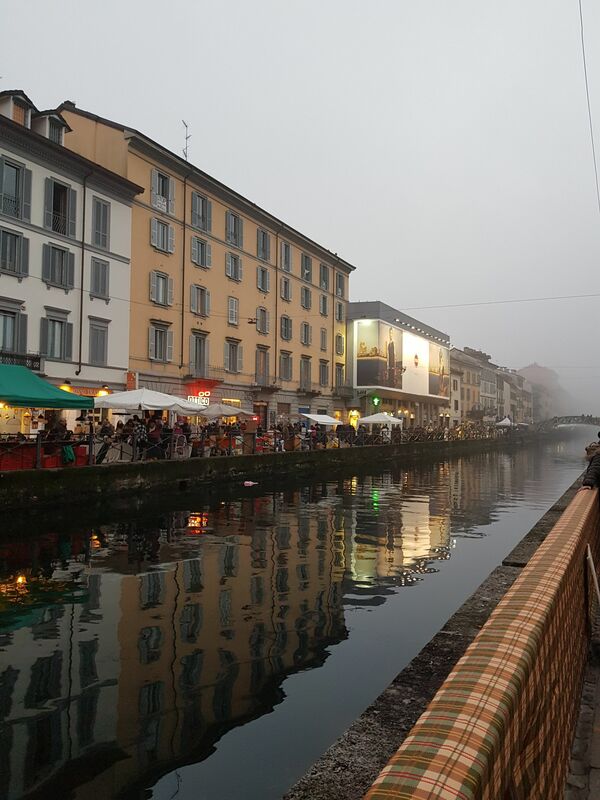 Travel Tip: Visit this the same day that you visit Navigli. Ah this is brill thanks Carly! I am so jealous right now reading this. It was a lovely read!